LetsBasket was born because we couldn’t follow up with a score of our kid’s Basketball team. So we launch the free version where you can collect the goals made by each team. 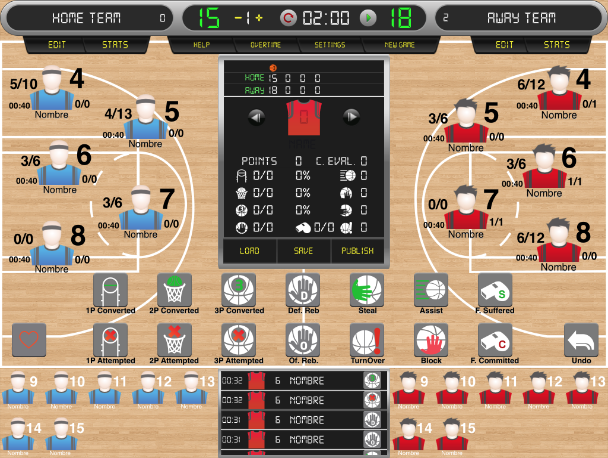 We started to have a lot of good feedback so we decided to do LetsBasket+, which lets you recollect all the pertinent statistics of a basketball game. In both versions we let the users publish their matches into our WordPress website. We develop in LetsBasket+, a wheelchair option in collaboration with the Centre Fédéral Handi-Basket – CFHB (French wheelchair federation).